Bodybuilding is generally observed as a round the clock workout routine used by professional bodybuilders and trainers to effectively utilize strength and cardiovascular fitness training to achieve muscular mass and tone. Maintaining a strict diet is a critical component observed more often in the art of bodybuilding than powerlifting. This has often seen most bodybuilders having to implement a specific nutrition plan consisting of the proper drink, foods, and supplementation required. The program designed for the bodybuilder is specifically aimed to allow the individual to sculpt the body into a physique containing the maximum muscular mass by effectively removing unwanted fat and unnecessary water. 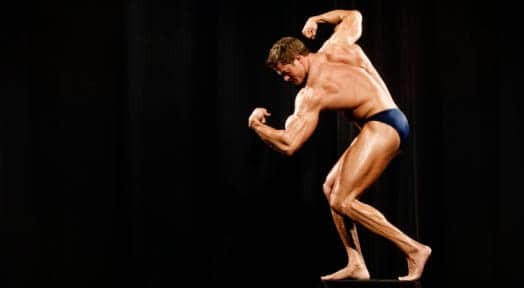 Bodybuilders are in event subjected to be judged not only on their overall musculature, but also on their symmetry, skin tone, posture, attitude, vascularity and a host of other factors. The art of bodybuilding contains what is referred to in the fitness industry as a peaking phase. Professional bodybuilders are accustomed to training during their off seasons to work on their bulking phase to improve their muscular mass as much as possible. Toning and sculpting the muscles achieved during this offseason generally takes place between the final eight to twelve weeks before the competition. Many bodybuilders during this phase will undergo such a dramatic transformation in their appearance that they are hardly recognizable by the time they get on stage. The professional bodybuilder diet generally consists of a low carbohydrate, low fat, high protein intake. This particular diet is such designed so as to effectively trick the human body into utilizing the protein content within the diet by burning it as energy to fuel the exercise workout instead of the carbohydrates. The diet of the professional bodybuilder bears some similarity to the powerlifter, in that the individual is required to eat every two to three hours on a daily basis. The difference however is noted in the types of food each person is allowed to eat. Powerlifting on the other hand generally involves the individual competing in three particular sets of exercises known as the bench, the squat and the deadlift. The professional who is able to achieve the heights total for the three lifts is crowned as the winner. The art of powerlifting is a highly complex event than just pulling and pushing weights while eating to gain weight. One of the professional powerlifter's goal is to achieve the maximum level of core strength possible in the shortest time before an event. Most powerlifters have found that eight to twelve weeks before a competition is an adequate amount of time to successfully train their muscles. Training using a progressive type pyramid method has been popularly used by a majority of the powerlifters during their workout routine. Within such a pyramid cycle, the professional powerlifter will begin training by emphasizing focus on conditioning the body. Endurance and stamina is generally achieved by completing a series of multiple reps using a series of medium to heavy weights. Exercise routines designed to target smaller muscle groups are also performed to strengthen these groups and achieving muscular stability. As the powerlifter approaches the final stages of the training cycle there will be a noticeable improvement in their core strength allowing the individual to handle the maximum weights possible on all three power lifts. Upon reaching this plateaux the powerlifter will resort to a low impart training routine to allow muscular recovery and building in preparation of the competition. The diet required by the professional powerlifter unlike the bodybuilder consists of a high protein, high carbohydrates and medium amount of fats. The average powerlifter instead of eating three balanced meals on a daily basis will break down each meal such as breakfast, lunch and dinner into two or three smaller meals to be consumed on average every two to there hours. The professional powerlifter by eating in small amounts on a consistent basis allows the body to remain in a sustained fueled rate allowing the muscles to recover more effectively over a shorter period of time. Both the professional bodybuilder and powerlifter must exhibit acts of high discipline which is in any sport the most valuable attribute displayed, as this is required to follow a precise and planned course within an exercise program, maintaining a strict diet and allowing time for recovery.